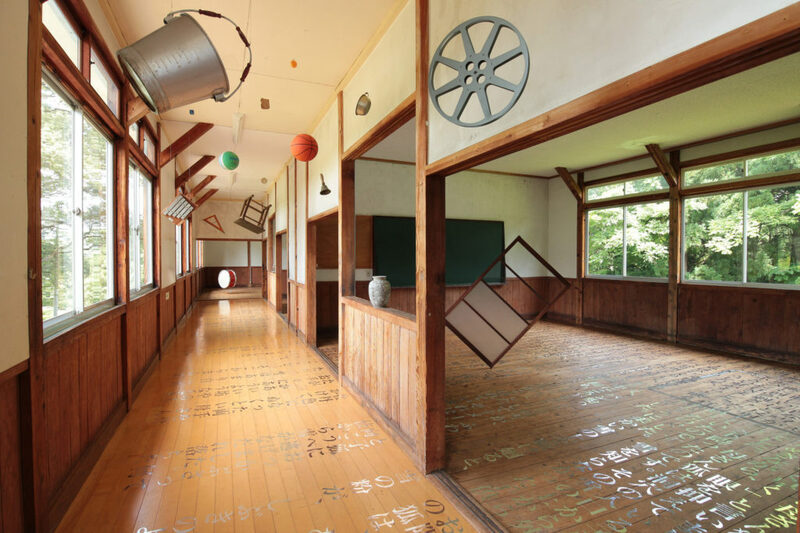 Walking up to the second floor of this former school building, visitors are welcomed by a scenery of various school equipment hanging from the ceiling. 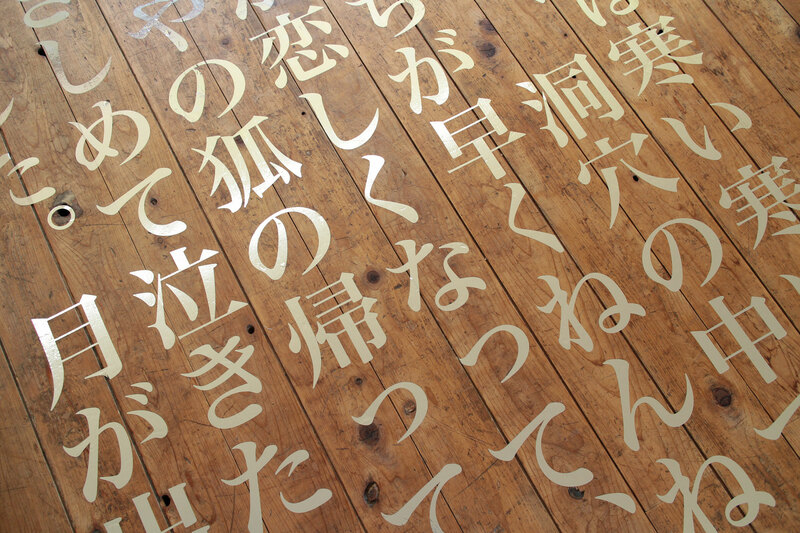 Etched on the floor in silver are the words from Nankichi Niimi’s “Buying Mittens”, a popular children’s book. Visitors walk through the installation space while following these words, going back-and-forth between the world of the story and the real-life space of the school. “Buying Mittens” has been included in numerous school curriculums and surely is a nostalgic tale for many of the Japanese visitors who visit this space. The winter landscape that envelopes the fox mother and child is paralleled by the snowy scenery of the Echigo-Tsumari region. 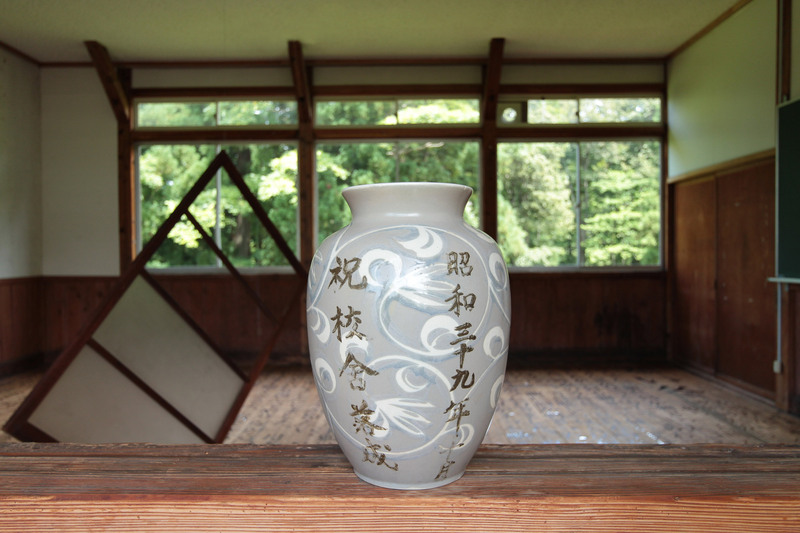 The experiences that both the fox mother and fox child have with humans in this tale also links with the theme of the Echigo-Tsumari Art Triennale regarding humanity’s relationship with nature. 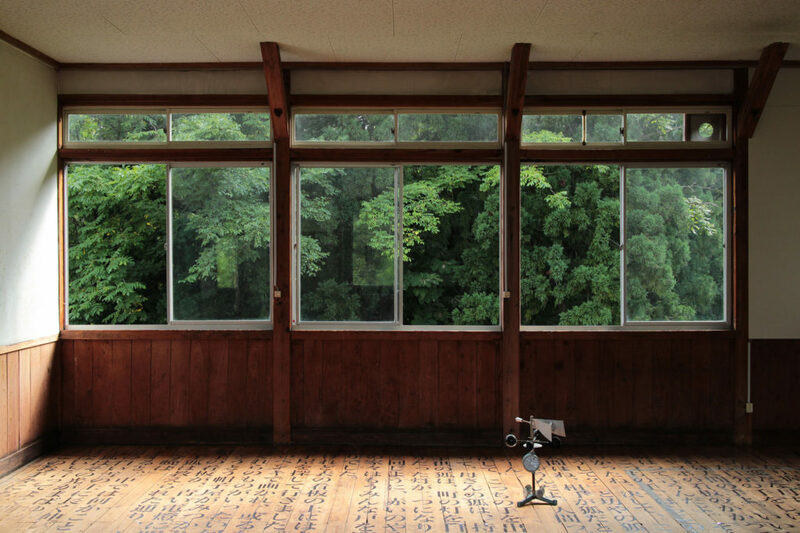 Using this classroom as the stage, the artist makes visitors ponder between reality and fiction, and the passage of time, as they are surrounded with the light of summer and greenery of the environment outside of the building.